Terry Overhead Door is your source for knowledgeable, quality garage door sales, garage door service and installation, and overhead door repairs in Barrie and the surrounding area. We offer residential and commercial overhead doors and openers and service of industrial loading docks. With 20 years in the door industry, our family-run company has learned that providing reliable and honest service, accompanied by quality workmanship, guarantees a satisfying experience for everyone. 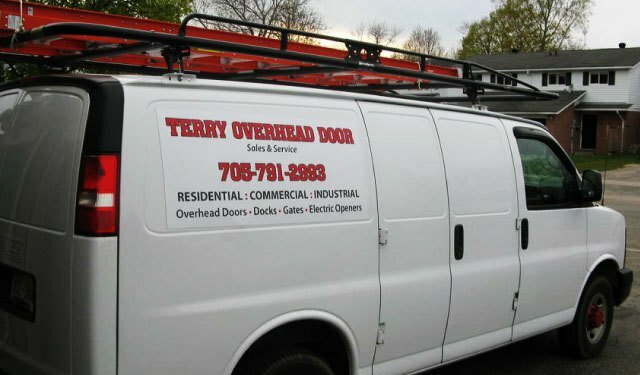 Terry Overhead Door is committed to providing the best service and options possible to our customers. When it comes to garage doors sales, Barrie trusts Terry Overhead Doors. We at Terry Overhead Door know that your personal life and business don’t begin at 9 and end at 5, so we offer emergency garage door service, and our technicians are available to keep your life or your business up and running. So if you are in the market for a new electric opener, a garage door or just a repair, contact Terry Overhead Door today.